Though they disagree on nearly every major policy issue, from education funding to abortion to immigration, Texas Republicans and Democrats apparently have common ground on a few things, according to the platforms approved at recent state conventions. Both state parties approve new platforms every two years, covering dozens of issues. Republicans put their platform together in May in Dallas. 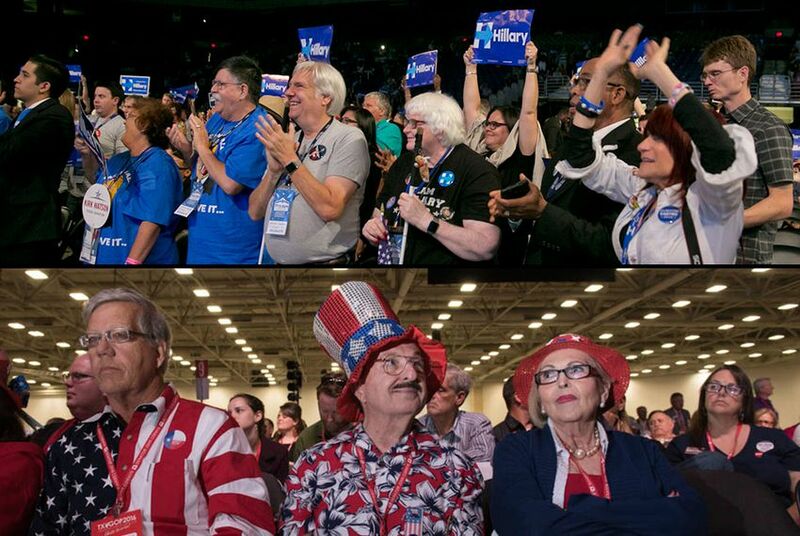 Democrats followed suit last week in San Antonio. The platforms provide an opportunity for activists in both parties to outline the positions they expect their candidates and elected officials to hold, though there's always some that choose to ignore some of their party's positions. While much of the two parties' platforms is irreconcilable, there are a handful of policy areas where Republicans and Democrats appear to come together. In nearly identical language, both parties ask the state Legislature "to improve the 2015 Compassionate Use Act to allow doctors to determine the appropriate use of cannabis" to patients. The law, signed by Gov. Greg Abbott last year, legalized the sale of oils containing CBD, a non-euphoric component of marijuana, for the treatment of certain medical conditions. Supporters of medical marijuana are expected to lobby the Texas Legislature to expand the law next year. The addition of the plank in the GOP platform represents a significant shift for the party that has long opposed any marijuana decriminalization efforts, medicinal or otherwise. The Texas Democratic Party's platform had previously advocated for decriminalization of marijuana, but the reference to the Compassionate Use Act is new. Both parties also express concern about toll roads in Texas, suggesting the funding of such roads should be made clearer to the public. "We oppose the use of taxpayer money to subsidize, guarantee, prop-up, or bail out any toll projects, whether public or private, and we call upon both state and federal lawmakers to adequately fund our highways without hidden taxes, tolls, or raiding emergency funds," the GOP platform reads. Democrats, similarly, call for "legislation to demand transparency in how toll roads are financed and how funds are managed." The GOP platform also singles out its opposition of "public-private partnerships, specifically regarding toll projects." The Democrats highlight concerns with certain toll road deals, advocating against "foreign-owned U.S. toll roads that require Americans to contribute to the balance-of-trade deficit when they travel on local roads." Responding to growing public resentment of the state's reliance on tolls, state lawmakers last year ordered the Texas Department of Transportation to to review the state's toll road network and produce a plan detailing what the state would have to do to remove them. TxDOT is expected to release the report in September. Although their platforms suggest the parties stand on opposite sides of free trade – with Democrats in opposition and Republicans in support – both parties are opposed to the Trans-Pacific Partnership, a massive trade deal between the U.S. and 11 Pacific Rim countries that is endorsed by the Obama administration but currently stalled in Congress. In their platform, the Texas Democrats compare the TPP to the North American Free Trade Agreement passed in the 1990s, decrying the "NAFTA-style trade agreement" and urging that similar arrangements "must be opposed." The Texas GOP's platform goes further, calling not only for opposition to the TPP but also "immediate withdrawal" from other trade deals, including NAFTA and the Central American Free Trade Agreement. There is clear support on both sides of the aisle for the "full disclosure" of some campaign funding sources. The Texas GOP specifically calls for the disclosure of the "amounts and sources" of campaign contributions, "whether contributed by individuals, political action committees or other entities." The state Democratic platform urges disclosure of funding sources for political advertisements, "including the largest major funders of all political television, radio, print, slate mailer, and online advertising for ballot measures, independent expenditures, and issue advocacy." While NASA's future and funding remains a subject of debate in Washington, D.C., both parties in Texas identified ambitious aspirations to continue human travel into space and, as the GOP Platform put it, "maintain America's leadership in space exploration." The GOP platform also called upon NASA to develop relationships with citizens and American businesses to further their efforts, while the Democratic platform simply expressed support of the nation's space program, "including both manned and unmanned flight."